HTC Sensation XL is one of fabulous smartphones from HTC for the year-end vacation seasons. The Taiwanese technology builder has promised a host of high-end smartphones for the fall, including a Sensation XE besides XL and a couple of Windows Phone 7.5 Mango phones like Radar and Titan. Sensation XL is really a multimedia rich version of the company’s Sensation 4G that has been in stores since mid this year in fight with Samsung Galaxy S II and Apple iPhone 4. 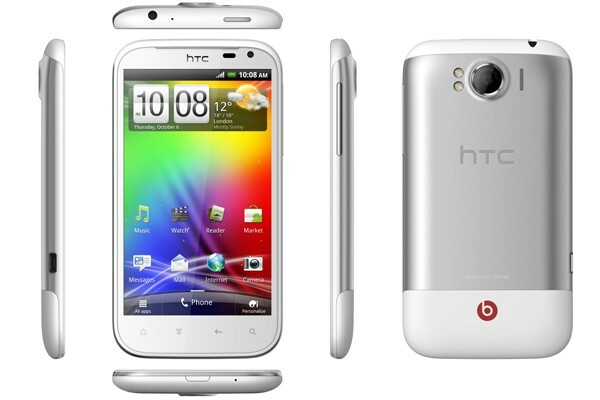 The new Sensation XL with Beats Audio looks like as HTC’s reply to iPhone 4S. The company might also want to win over the lavishly spending year-end shoppers. HTC has not exposed the price and exact release date of Sensation XL. Most probably, the device will arrive in stores by December, the month Christmas and New Year shopping reach at its peak. HTC has crafted Sensation XL with quite a lot of outstanding features. Besides being just an Android smartphone, Sensation XL is an audio special phone. See what features will make Sensation XL a distinguished smartphone when it arrives. Dr. Dre Beats Audio: HTC has again associated with Dr. Dre to integrate Beats Audio software tweaks and headphone on Sensation XL. The new HTC smartphone, thanks to Beats Audio, will bring a unique music experience to users. Indeed music aficionados will love Sensation XL for its Beats Audio factor. Instant capture 8MP camera: Capturing snaps with HTC Sensation XL will be a great experience. With the instant capture camera, the photo will be captured at the moment you press on the shutter. It will never miss you any dream moments. It is an 8-megapixlel camera with F2.2 lens, dual LED flash and 720p video capture. Active lock screen: It is now a new trend to have an active lock screen in smartphones. HTC has set up an active lock screen for Sensation XL. You can check up many of your phone updates even on the lock screen of the smartphone. Large display: The new HTC Sensation is also with a large display. Sensation XL mounts a 4.7-inch touchscreen with a resolution of 480 x 800 pixels. The big display lets users watch videos and surf the web quite comfortably. Rich Internet experience: Thanks to a large display and Adobe Flash support, surfing the web on HTC Sensation XL will be a momentous experience. Immersive experience: HTC has integrated many immersive features on Sensation XL. For example, you will have some real life experience while checking weather updates on Sensation XL. With Beats Audio, HTC Sensation XL seems to have specially developed for audiophiles. And so, the phone may lose a general nature; thus regular customers may not show fervor towards the phone. HTC might be aspiring to draw the attention of year-end shoppers with Sensation XL, a special audio smartphone. The company, however, has not revealed which version of Android the device will feature. Almost certainly, as slated to come out late this year, Sensation XL will be playing on Android 4.0 Ice Cream Sandwich, the latest version of Google’s famous mobile operating system. Android 4.0 ICS has just been surfaced by Google on Samsung Galaxy Nexus. If HTC Sensation XL gets Android 4.0 ICS, no doubt, it can gain some ground in market. Along with its special audio features, the HTC smartphone will remain as one of best smartphones of the fall. Anyway, things will never be a cakewalk for HTC and Sensation XL in the upcoming vacation season. Many products from various manufacturers like Apple, Samsung, Motorola and many Windows Phone 7.5 Mango partners will cram up the market this season. However, HTC may remain different in market with smartphones like Sensation XL and XE. Their special audio and multimedia potentials are certainly to make these phones two leading products in stores this fall. Whatever it may by, the new robe of HTC Sensation 4G is indeed surprising. HTC unveiled Sensation 4G across global markets mid this year with Android 2.3 Gingerbread and dual core processor. Where to Sell Cell Phone? Where can I buy htc phone? Get justin bieber cell phone number? ← Will the tmobile news come on iphone 4s in future?